Alton Central School (ACS) & Fred Fuller ‘Contract’ Story (With References To Rymes) In The Media. Click to ENLARGE. Use link below to access original coverage at source. Click to access original article (on Page A3). Teischan Makes It To The Paper. Not her first time in the paper (by a long chalk) and hopefully not her last. Click to ENLARGE. Tomorrow, 3/14/14, Is 2014 ‘Pi Day’. I Hope Alton At Least Celebrates With Lots Of Pie For Lunch. >> — Mar. 16, 2013. >> — Mar. 13, 2013. >> March 14: Pi Day — Mar. 7, 2013. Tomorrow, 3/14, is Pi Day — and it also happens to be Albert Einstein’s birthday. 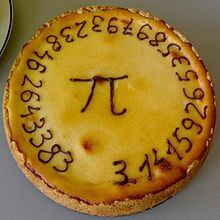 Of late it has become customary, around the World, to celebrate Pi Day — ideally with something mathematical. Last year Barnstead, to its credit, had a Pi Day event. Click here for the pictures. 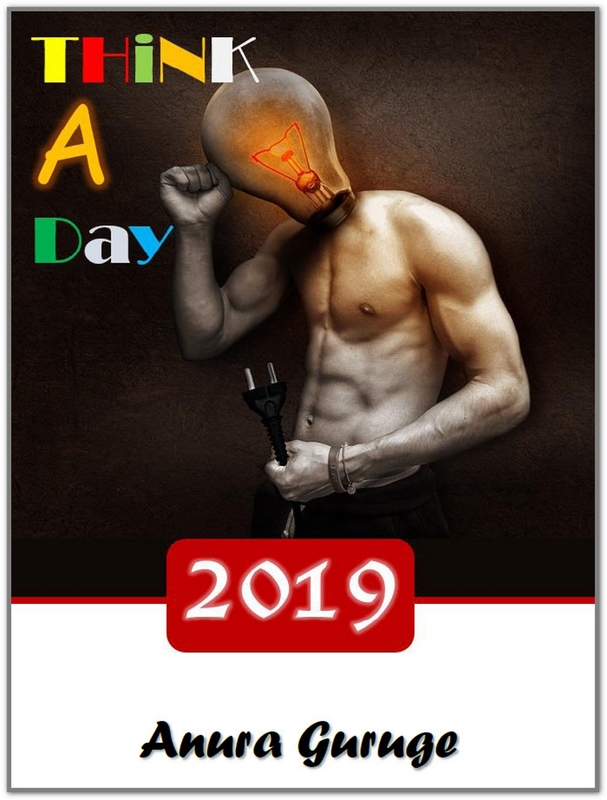 This year I can’t find anything about Pi Day (or even Pie Day) on the Barnstead Elementary Website (though I didn’t spend that much time digging). Nothing in Alton, either at Prospect Mountain or Alton Central (ACS), as far as I can tell — which was also the case last year. I did ask a (rather bright) Prospect Mountain freshman last week if they were doing anything for ‘Pi Day’. He was not familiar with the notion of ‘Pi day’. Devanee had to explain it to him. I haven’t seen anything. While I can understand that doing something ‘mathematical’ might contravene ‘Common Core‘ objectives, I hope that they at least serve PIE for lunch. Everybody should be able to relate to that. With thanks to ‘pi314.net’. Enjoy. 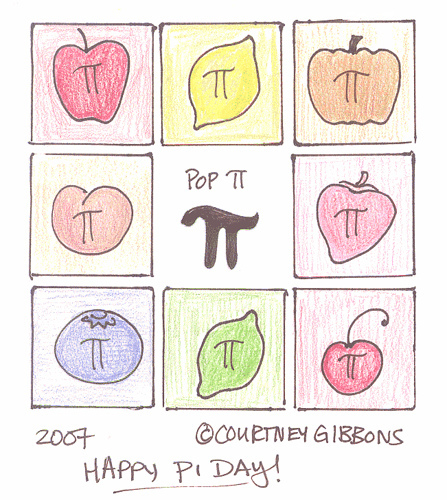 Click to ENJOY ‘Pi Day’ like a nerd. 2003 Google Doodle for Albert Einstein’s Birthday. Malaysian Airlines MH370: WSJ 4 Hours In Air, Airspace Around Sri Lanka, Rolls Royce, Cell Phones & KAL 007. Click for ‘Wall Street Journal’ story. Click for latest CNN coverage, this clip showing the Malaysians putting on another pathetic display of incompetence (embarrassing all Asians). The guy in the ‘white’ shirt (and blue lanyard) look like a real live-wire, a man of action. I am going to keep this pithy. On Monday I posted my thoughts and all of them, in marked contrast to the drivel we are getting from the Malaysians and Chinese (i.e., ‘famous’ radar image was a ‘mistake), are still germane. So, here is what is going through my mind right now, after listening to nearly 40 minutes of CNN coverage (because airline ‘incidents’ really intrigue me given my interest in flying and planes). 1. The claims made in the WSJ report that Rolls Royce says it has 4 hours worth of engine performance data should be verifiable INSTANTLY. We are not talking about some tinpot Malaysian company. It is ‘Rolls Royce’, the Rolls Royce of manufacturing — a British company to boot. There will be no ‘if and buts’ with Rolls Royce. They either have this data or they don’t. It shouldn’t be that hard to verify. One phone call should clear that up. So what gives? Why is this still a ‘question mark‘? 2. If Rolls Royce has the data, the ONE thing that really matters is whether that data shows that the engines were running? How come that question doesn’t get asked in the media. I can well imagine that RR engines are capable of transmitting data 4 hours after an incident — even if the engines are 300′ feet deep in sea water. What I want to know is were the engines claiming that they were spinning. That will tell me, if not any of these other clowns, quite a bit. 3. Was there NO cell phone calls from this plane — at all, even before it ‘vanished’? Haven’t checked what the Malaysian Airline policy is about cell phones. But, there were ‘260’ Chinese on board, most of them have to have had phones. Plus, we all know what the Chinese are like with their cells. Ban or no-ban, they would have been trying to sneak in a call or two or a few hundred texts. NOTHING from the this plane? Seems very strange. IF the flight continued for another 4 hours, then I really would expect to see some cell activity — especially if there was anything ‘strange’ going on. Remember the cell calls from the 9/11 flights? How can we forget. 4. In all this ‘comedy of errors’, (I think) I am certain of one thing: this plane didn’t go anywhere close to the airspace monitored by Sri Lanka. To be honest I don’t really know what ‘our’ radar capability is, but I do know that we are just coming out of what was a very bitter and costly 30 year civil war — where towards the end there were fears of air attacks launched from India (if not by the Indians themselves). So given the billions that was spent fighting that war, I am sure ‘we’ ended up with some pretty decent radar to monitor the air space around the Island. Plus, within the pecking order for that part of the world, Sri Lankans tend to be towards the top of the competency pyramid — and funnily enough just recently I had an Indian who told me that, unsolicited. So, if MH370 crossed Sri Lankan radar space we would have known about it. So, trust me on this, don’t waste assets searching in the area covered by Sri Lanka. Just ask them for confirmation and take that to the bank (I hope). 5. Remember Korean Air 007. If not here is a post. Was Malaysian Air MH370 possibly a sacrifice, ‘decoy’ radar/satellite ‘activator’ as was, per the theory, KAL 007? Just a thought. 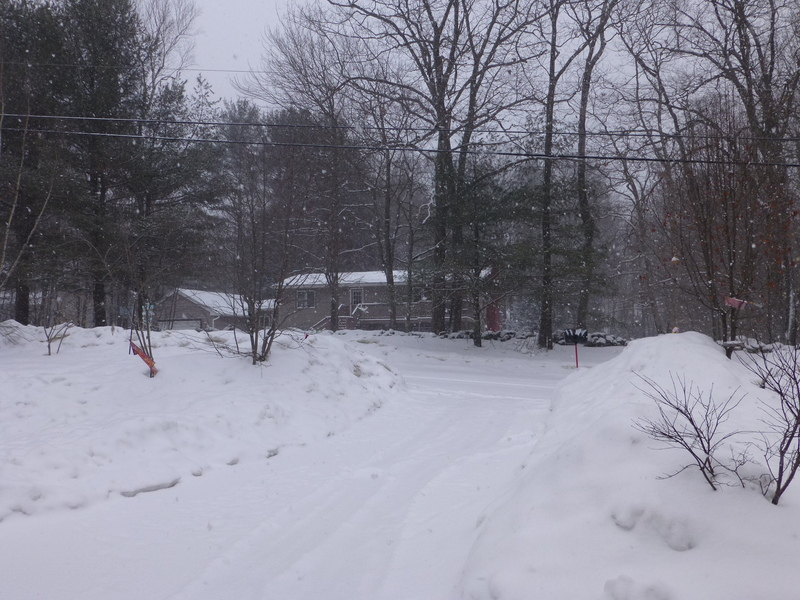 It Is Still Snowing In Alton, N.H. (at 10:40 am). Should It Have Been A ‘Snow Day’ Rather Than A 2-Hour Delay? >> Feb 12 – 13, 2014 snowstorm — post 1, post 2 & post 3. Snow coming down, and the road, at 10:20 am on Thursday, March 13, 2014 in Alton, N.H. Click to ENLARGE. It is 10:48 am as I write this and it is still snowing in Alton, though not as hard as it was half and hour ago. WMUR, as you can see above, is talking about snow till 5 pm. The roads around here are not plowed. The bus was 12 minutes late and I don’t blame the poor driver. He has to go half way up Prospect Mountain Road to pick up a kid and if it isn’t plowed he is dicing with danger if not another ‘d’ word. I was told on Tuesday, unasked, that ‘we’ are down one plow truck — the one that plows our road. It is in Manchester getting fixed. That might explain why the roads around here have yet to be plowed. I haven’t bothered to go out to plow the drive myself. Seems pointless. Might as well wait for the snow to abate. Question is how much snow will we have on the roads by 2:45 today? Yes, I checked the other local districts. They have all opted for the ‘2-hour‘, not a ‘snow day‘, option. But, WMUR has trouble with this forecast. I actually stayed down till 11:20 pm just to watch it to see how wrong they had been. We hadn’t had any snow here — despite their earlier predictions. It was all rain. I understand. 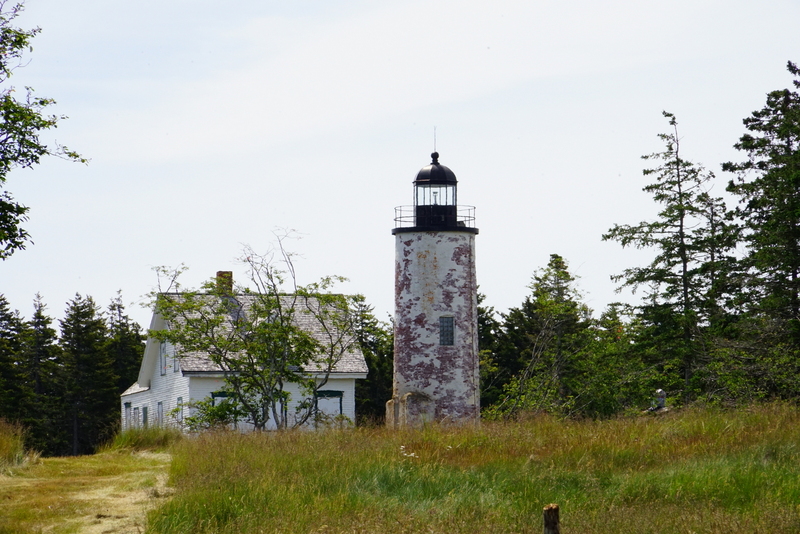 It all depended on where the storm track was and 15 miles to the South made all the difference. But, it now begs the question about today’s snow totals. I just hope the buses can make it, safely, through the afternoon snow — and the poor teachers that have to drive to remote places.